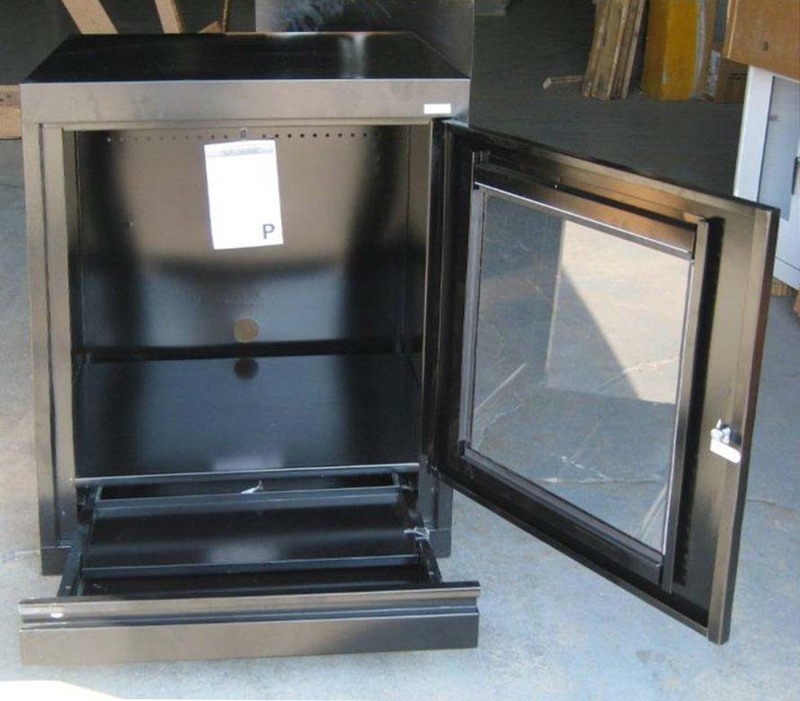 These Flammable Storage Cabinets are available on www.buyusedlockers.com where they have a huge selection to choose from if we need additional supplies. Don't wait for the fire marshall to come through your facility and find your flammables in an unsecured non-contained area and risk the chance of a hefty fine! Purchase a cabinet for your flammables today! 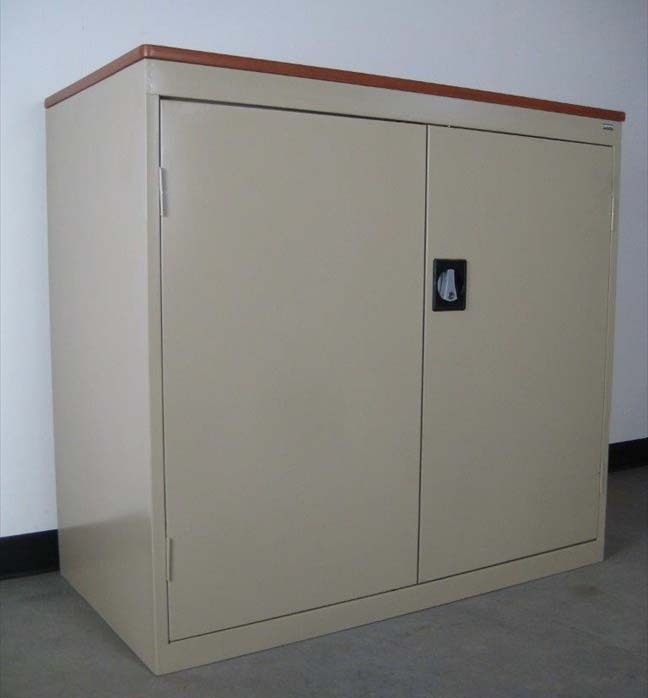 We have a large inventory of quality Flammable Storage Cabinets for sale in stock and ready for quick shipment from one of our many warehouses located thoughout the country. These are large and have a 45 gallon capacity to securely store all your larger cans and flammable products. Each unit includes 2 full width shelves and has ventilation holes. Available with regular or self closing doors. Each measures 43" wide x 18" deep x 65" high. In stock and ready for Quick Ship. Available in yellow with large red flammable writing on door.